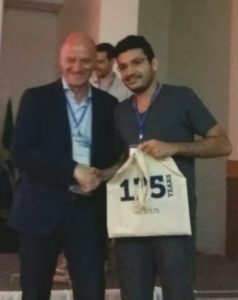 Congratulations to the poster prize winner at the BrazMedChem Symposium 2016. 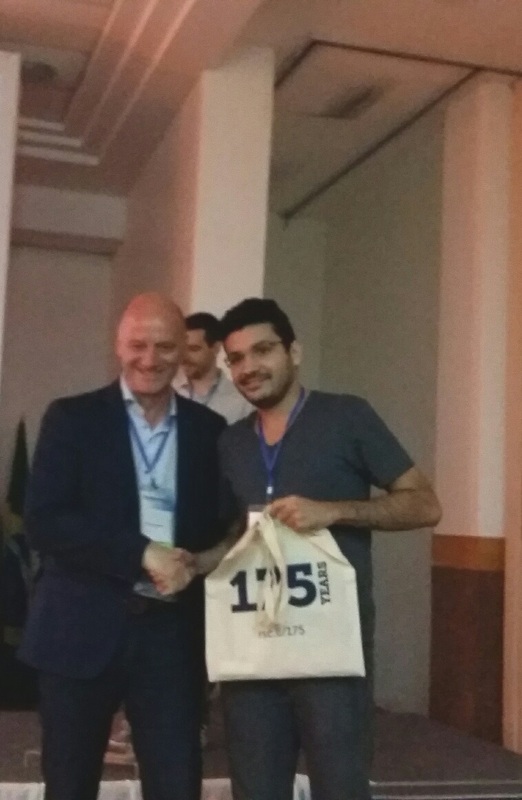 The main goal of BrazMedChem2016 was to provide a scientific atmosphere to stimulate the cooperation between scientists from Brazil and abroad. To facilitate the exchange of experiences and information among researchers is essential in order to meet the challenges of medicinal chemistry of the twenty-first century. 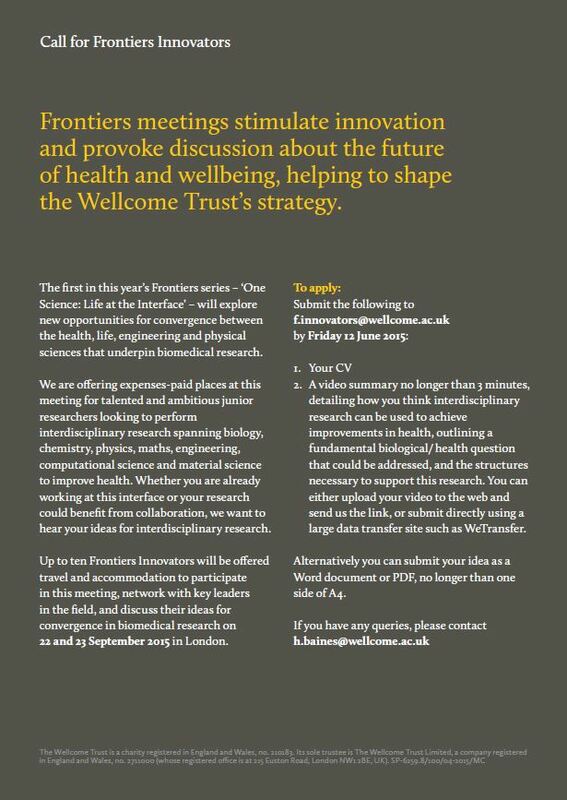 The Wellcome Trust is seeking 10 enthusiastic junior researchers currently undertaking interdisciplinary research, or who are wishing to pursue interdisciplinary collaborations, to attend their first Frontier meeting: One Science – Life at the Interface on 21-22 September 2015. Applications close on Friday 12th June 2015. This free to attend symposium will focus on the development of new therapies to fight infectious diseases, in particular highlighting the important role of chemistry and biochemistry. 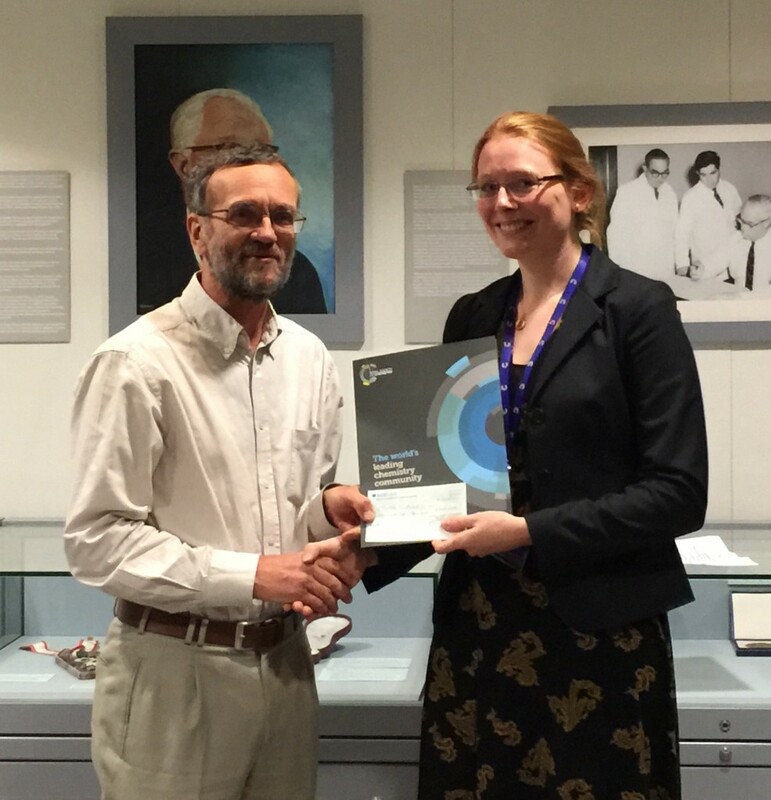 Tackling antimicrobial resistance will require researchers from a range of disciplines to work together and this event will showcase leading research from a number of our recent Prize and Award winners. Taking place during the same month that the World Health Organisation will present their draft global action plan on antimicrobial resistance at the World Health Assembly, this symposium presents a timely opportunity to highlight the role of science in mitigating antimicrobial resistance. We will also explore the development of new improved platforms for collaboration, such as Public Private Partnerships (PPP), which enable the research and development that is needed to better deliver the medicines of the future. A poster session will be held over lunch. Poster abstract deadline: 29 April 2015. For more information about the speaker line up and to register please visit the event page. Registration deadline: 8 May 2015. 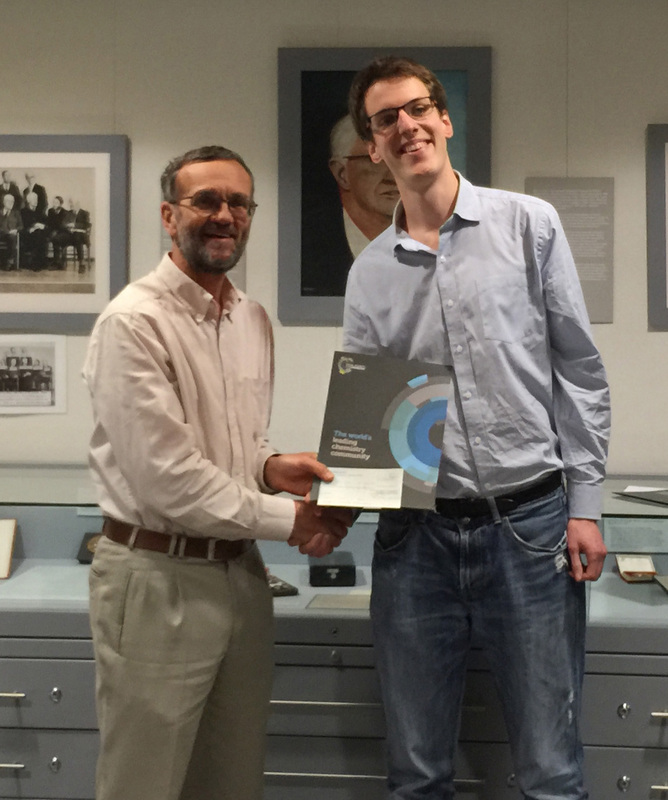 On 12th Decemeber the Biological and Medicinal Chemistry Sector (BMCS) of the Royal Society of Chemistry held its eighth postgraduate symposium for PhD students and postdoctoral workers researching in biological or medicinal chemistry and related areas. The day consisted of 11 oral presentations (8 student and 3 keynote) and poster session. This year’s symposium was a great success with around 150 participants attending, with an excellent scientific standard all around. 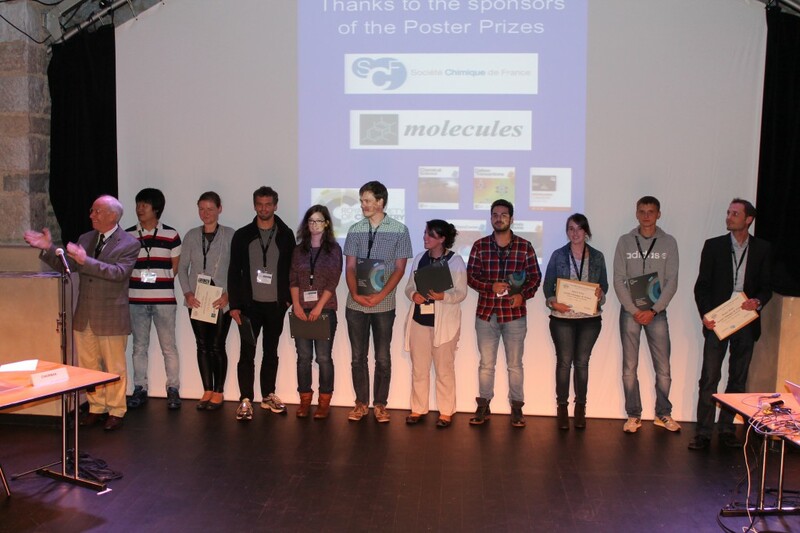 The BMCS judges awarded two prizes on the day; one for the best oral presentation and one for the best poster, with the winners recieving £300 and £150 respectively as well as each getting a year’s subscription to MedChemComm.